A unique program utilizing art and dialogue to reach children caught on either side of the Israeli/Palestinian conflict. For three weeks during the summer, up to 30 Israeli, Israeli-Palestinian, and Palestinian students ages 15-17, along with two peer leaders who participated as students the previous summer, travel to the U.S. to engage in an intensive training program in the visual arts and filmmaking and learn how to engage in difficult conversations through reflective dialogue. During that time, students work in small, multicultural groups to create art pieces together. Structured art classes and dialogue sessions are held almost daily, while students are also afforded the opportunity to interact in formal and informal social activities. A critical aspect is that students also participate in an expressive therapy session every day to help them process the variety of emotions and challenges that they experience during the program. Each year graduates from the summer program participate in three reunions in the region with their group from the prior summer intensive. During these two days, participants have the opportunity to re-connect with each other, do art together based on progressive, more complex topics, and dialogue about the challenges faced after returning home to their respective communities. Artsbridge also brings in guest speakers from various Israeli and Palestinian organizations that engage in non-violent approaches to conflict resolution and people-to-people interactions that positively impact the region. These reunions introduce students to the many outlets that exist to continue working towards a brighter future for themselves and for their communities. While working on a kibbutz in Israel from 1976-1979, Debbie Nathan, current Executive Director and Co-Founder of Artsbridge, Inc., first realized the importance of constructive communication to build trust between two groups of people in enmity. From a fishpond on the edge of the kibbutz, Debbie could see the security fence that delineated the Israeli-Jordanian border, as well as the Jordanian guards keeping post in the watchtowers. After several days of exchanging friendly waves and peaceful gestures with the guards, Debbie began thinking about how similar these men were to the Israelis that worked the fields and olive groves across the fence. Over the next thirty years, Debbie pursued studies in Mental Health Counseling and Art Therapy, meanwhile maintaining a strong connection to Israel and the prolonged conflict both within and outside its borders. She began incorporating art as a means of therapy for at-risk, urban youth in her own community and saw how a safe, supportive environment allowed these youth to overcome their challenges and achieve success. In July 2007, amid the heightened tension of the Second Intifada, Debbie founded Artsbridge, Inc. to provide Israeli and Palestinian youth the opportunity to come together and learn about each other in an inclusive and welcoming environment. Over the next year, Artsbridge, Inc. established partnerships with several organizations in Israel and the West Bank, recruiting youth to participate in year-round programming. 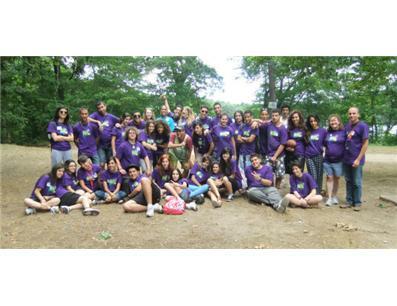 In the summer of 2008, thirty Israeli, Israeli-Palestinian, and Palestinian students came to the U.S. to participate in the first, three-week summer intensive program, the Inter-Cultural Youth Leadership Development Program, at Endicott College in Massachusetts. Since the first successful summer of programming, Artsbridge, Inc. has developed a two-year model, allowing alumni to become mentors for the new class of participants and to engage in service projects within their own communities. In 2010, Debbie was selected as a British Airways Face of Opportunity Winner as Artsbridge prepared for its third summer program. During the summer of 2011, Artsbridge began offering advanced seminars to alumni, allowing the various years of participants more opportunities to engage in dialogue, to network with other youth, and to further develop their skills as change-makers. Each year over 500 Israeli and Palestinian students benefit from Artsbridge programming in Israel, the West Bank, and the United States. 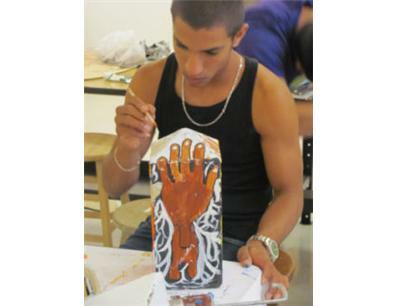 Our programming has extended to include workshops in the United States, educating American youth and adults in the dialogic process and in using use art as a form of expressive therapy. Artsbridge continues to build partnerships both in the region and in the United States and helps empower young people to overcome singular narratives and to develop constructive relationships with one another. The mission of Artsbridge, Inc. is to provide a safe environment that cultivates creativity, voice, respectful listening, and dialogue in order to empower youth to become leaders and change-makers in the quest for a more just and constructive future. By working with local organizations to create supportive communities for its students, Artsbridge fosters understanding, curiosity, creativity, and leadership and educates students on the importance of respecting multiple narratives. Artsbridge’s unique strategy sets us apart from similar programs. Many organizations that bring Israeli and Palestinian youth together do not use the holistic approach that Artsbridge does. We are the only organization that uses a combination of reflective dialogue, artistic expression, and art therapy to engage with youth and empower them to become change-makers and leaders in their own communities. Our reflective model of dialogue teaches students how to truly listen to each other and to ask questions out of curiosity and interest. Through expressive therapy, Artsbridge works to provide healing for the trauma that all participants experience living in a region of conflict. The art component teaches participants how to work together, think creatively, and communicate constructively. In addition, Artsbridge trains our program staff and facilitators in this unique and holistic methodology to ensure that there is a strong support base for our students. In other programs, facilitators do not work holistically and may not be given training and support around their own issues related to the conflict. Also, many of these groups focus on one, dominant method to initiate conflict resolution, such as arts, sports, encounter sessions or dialogue. Artsbridge provides a support system for its staff and facilitators through yearly trainings and a three-week seminar that runs simultaneously with the summer program. To help maintain the positive changes our students undergo during the summer program, Artsbridge has partnered with other organization in Israel and the West Bank that serve as centers for continued learning and support. During the summer program, students experience a cross-cultural environment. They make new friends, work together, and begin to feel hopeful that coexistence can be achieved. Upon returning to their homes in the region, however, they are often faced with the status-quo of hopelessness in their families, friends, and communities. Our two-year program gives our students the strength and support they need to continue on the journey towards empathy, hope, and a just future they began in the summer program. In this way, both our students and staff have the continued support they need to create a long-term and transformative change to build a more just future. 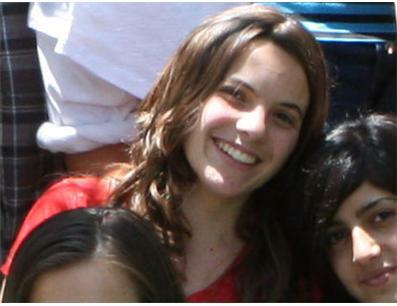 In the summer of 2008, Omri met Ghassan. 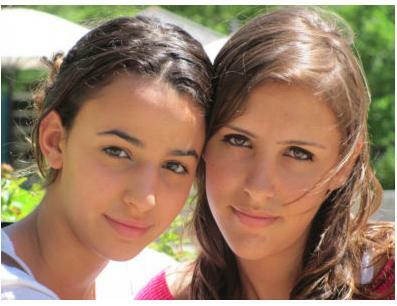 Both are 16-years-olds, live in Jerusalem, and are very proud of their nationalities. Both have very strong and outgoing personalities, and both came to Artsbridge to answer some deep-rooted questions, and to learn how to express themselves through art. But this is where the similarities stop, because Omri is an Israeli and Ghassan is a Palestinian. Omri will soon be joining the Israeli army, and sees it as an honor; Ghassan believes he must stand up for fair treatment of his people, who deserve a state of their own. Being drawn together by their forwardness, they quickly formed a friendship and started to learn about each other, readily engaging in the daily dialogue sessions. For a full week and a half, this relationship grew and both were happy that they had made a new friend and were overcoming obstacles and fears. This is their story. The Artsbridge dialogue model teaches students to ask questions out of curiosity and to respond to questions reflectively. During one of the dialogue sessions, Ghassan, partly out of his own naiveté and partly out of his assertive personality, posed a question to the Israelis that, rather than being based on curiosity, was inflammatory and hurtful. This made it difficult for the students to remain in a reflective mode. After only a week and a half of training and practice in the model, they were hardly expected to be masters. The participants became upset, very hurtful things were said, and Omri became enraged and stormed out of the dialogue session. Israelis and Palestinians immediately regrouped in separate rooms. For the next several hours each group processed what had taken place. The Israelis felt confirmed in their beliefs that Palestinians cared only for themselves as victims. The Palestinians felt confirmed in their fears that Israelis remain the violent aggressors and continue to deny the Palestinian story. Some wanted to go home, and some knew they needed to stay and work it out. All were feeling the worry that their newfound friendships were lost. It seemed to many that Artsbridge was going to fail. Ghassan demanded to be sent home and promised that, upon returning home, he would never again work with Israelis and would continue the struggle to regain the dignity of his people. It was later revealed that Omri had lost 3 very close friends in the past few years, all to bus bombings at the hands of Palestinian terrorists. Ghassan grew up with separated parents, saw close friends and family members thrown in prison for their beliefs, and found comfort and support from groups with very strong, but not violent opinions on how to deal with their relationship with Israel. These two stories had been very defining in the lives of Omri and Ghassan. This very difficult evening eventually became a beautiful testament to the power of the Artsbridge model. Having left the building to dig deep into his heart and assess what had just happened, Omri was sitting under a tree in the dark, when someone approached him. His new friend, Yazan, a Palestinian from Ramallah, sat down next to him and gave him a hug. Yazan also has a full story. In addition to being shot twice himself, in the arm and in the leg, he witnessed a bullet graze his mother’s face when he was younger. Of all the things that Omri could have anticipated, this was probably one of the last. A Palestinian was the first person to truly seek him out, give him a hug, and tell him that whatever they were going to have to face, they would have to face it together. Omri proceeded to tell Yazan the stories of losing his close friends, that for years he had not told to anybody. After a couple hours of sharing stories, shedding tears and looking to the future, Yazan and Omri eventually rejoined the rest of the group. Omri, despite his embarrassment at having lost his temper, was able to muster the courage to apologize to and console his Palestinian counterparts. Although Ghassan eventually agreed to stay, it was on the condition that he did not have to create a film with his partner, who, by coincidence, happened to be Omri. It could have been very easy for the students to give up and walk away in the face of conflict, Omri and Ghassan, deep down, knew that this was the very reason they came to Artsbridge. The incredible fact that these two young men, now feeling entirely betrayed by the other, were paired to work together, gave them the opportunity to prove to themselves, and others, that two people could overcome, forgive and work together to achieve a common goal despite their differences. Omri and Ghassan eventually shook hands and were able to work through their differences and create a very powerful, and quite humorous film. Since returning home, many of the students, including Omri and Ghassan, have taken it upon themselves to meet regularly in Jerusalem and spend time together as well as mentoring others. We know our programming is working. With four years of successful programming already completed, we face a growing number of students and organizations that want to join us. We have seen, firsthand, the positive changes in our students and in their friends and family. With your donation, we can continue to provide this powerful opportunity for youth who desperately need it. Thank You! If you would like to get involved as a volunteer, intern or in any other capacity, please contact Artsbridge Founder and Executive Director, Debbie Nathan ([email protected]). 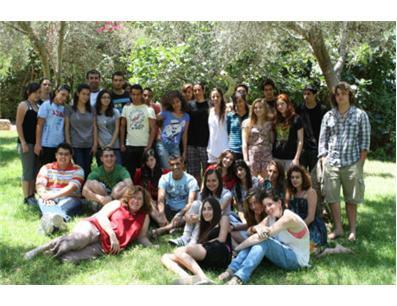 High school students from Israel, Palestine and the USA. During the year the artwork becomes a traveling art exhibit and is shown at conferences, Universities and various venues around the US, and eventually worldwide. Artsbridge has another successful summer! Artsbridge is gearing up for another exciting year of programming. Our three week Leadership Development Program will be from July 8th to July 30th in Williamstown, MA. Along with Israeli and Palestinian High School students, we are excited to announce that we are now accepting American High School students in 10th or 11th grade to participate! We hope to raise enough money for scholarship to allow for a diverse group of students. This cause is awesome! I loved your video, so powerful!!! This cause is just amazing! Did you hear about that Arsbridge is doing a project with the Drum Workshop? Drumming for one. I heard it went really well. "We're aren't pro-Jewish, we aren't pro-Palestinian, we're pro-human." -Deb Nathan, Executive Director of Artsbridge Inc.